Most Windows XP users do not have a habit to password protect Windows XP account as they do not want to remember the password. This is actually unsafe because anyone in your office or home unrestricted access to everything on your computer. If so far your Windows XP has no password setup required when logging on, password protecting your Windows XP login account is quite important and the process is very simple. Follow the step-to-step tutorial below to create a password to protect Windows XP logon account. Step 1: Boot your computer, as your PC starts up, click on Start and then Control Panel. Step 2: Click on the User Account link. Note: If you’re viewing the Classic View of Control Panel, double-click on the User Accounts icon. Step 3: Pick a user account which you want to password protect, Click on that user name. Step 4: Click on Create a password link. Step 5: Type a new password you would like to use when login, and then type it again to confirm. Then click Create Password. Note: you can also type a password hint which can be seen on the login window, but make sure it is private because it will be visible to everyone who users this computer. Step 5: Now turn back to your User Accounts, you’ll find the user account state is different, it certify you have succeed in password protecting your windows XP account, next time you must use this password to log on to your Windows XP system. If you type the incorrect password, you won’t allow getting access to your windows. 1. I highly recommend you create a Windows XP password reset disk, which will protect you from the consequences of forgetting your new Windows XP password. 2. If you want to set a new Window XP password because you have forgotten the old one and can no longer get access to your system. 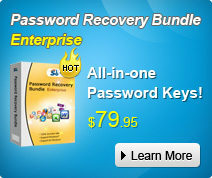 Then you have use a Windows Password Recovery program to crack or reset the password. After performing windows password reset, you can then create a new Windows XP password through the instructions above.